Black+Blum's unique Flower Loop will throw you for a loop! Graceful yet edgy, it was created by two European designers who are determined to show the world that great design doesn’t have to break the bank. They based the proportions of the Loop Vase’s twisting coils on the Fibonacci curve, giving it a natural and satisfying sense of balance. Intriguing from every angle, the Flower Loop combines the energy of an uncoiling spring with the randomness of absent-minded scribble. It even includes a faux flower, to get you started! 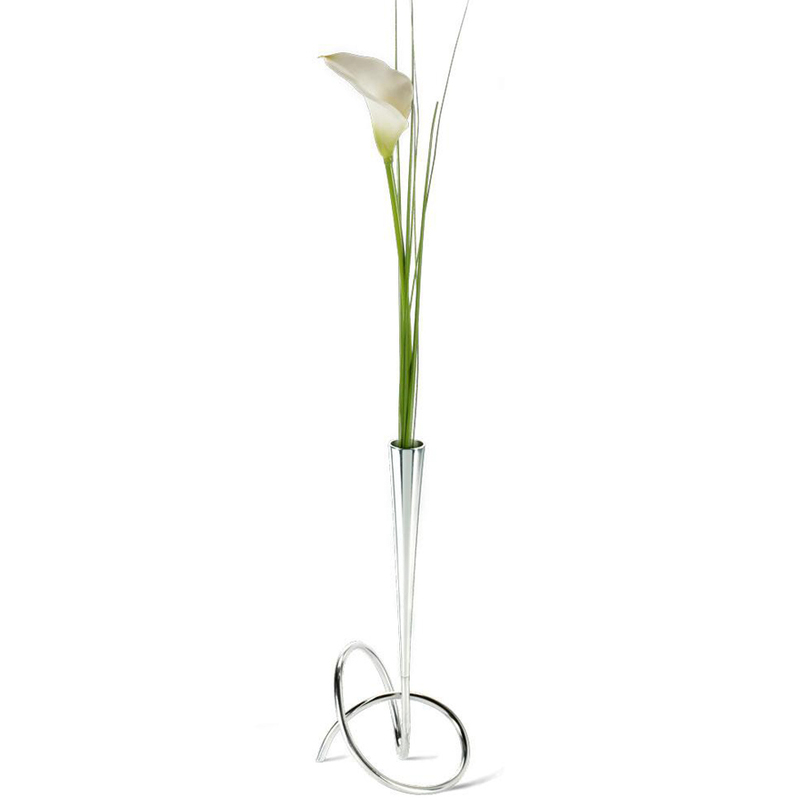 If you love filling your home with truly original objects, stay in the loop with the Flower Loop! Each Loop vase is individually crafted by hand, so the precise curves of the Vase are absolutely perfect – each piece passes six quality inspections at the Black+Blum factory before it leaves. Minimalist design is suitable for most modern homes. Comes with a faux flower.